Despite the Texas heat, Okra continues to produce! In this photo, there are several small okra, the one at the very front and center is the newest. 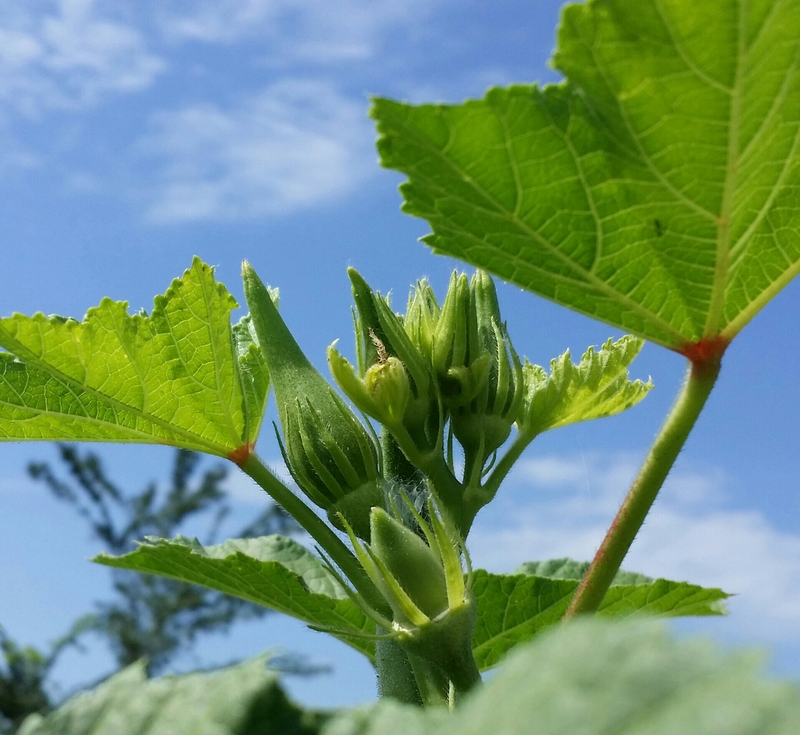 Okra bloom everyday and each bloom produces a seed pod. Before the seed pod is completely matured, it is tender and quite a treat! Upon maturity, the seed pods are dried and brown, and multiple seeds can be found inside. All that from just one flower! The great thing about any heirloom plant is that the seeds can be collected at the end of the season and planted the next year (or next season in temperature climates). Due to all the variance in the plant’s genes, however, occasionally a new variety is produced — and so began the story of Oscar Okra. This variety of Okra produces smaller plants, but larger okra (as compared to many other varieties). So, it is ideal for raised beds, and small areas. (Less space, more food — excellent!). 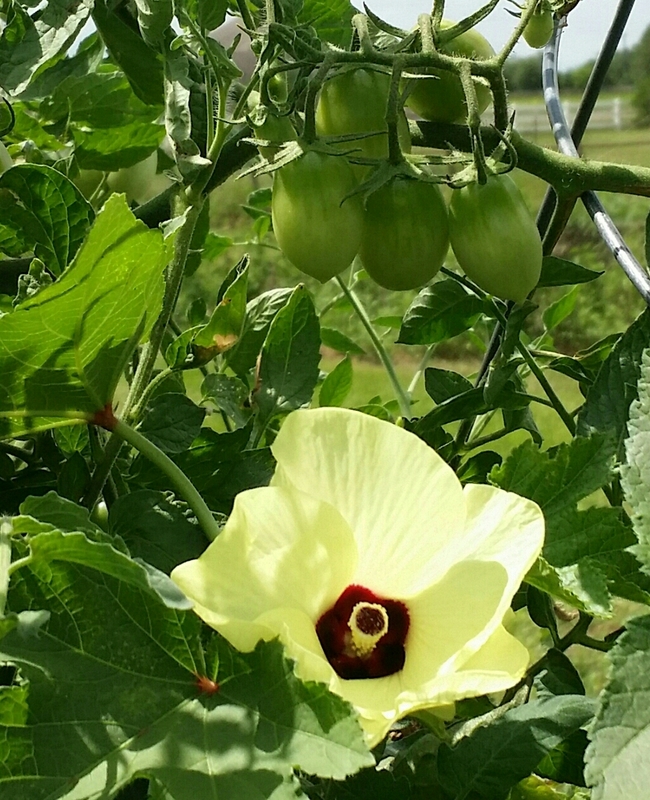 We have Okra and tomatoes growing in a single raised garden bed. 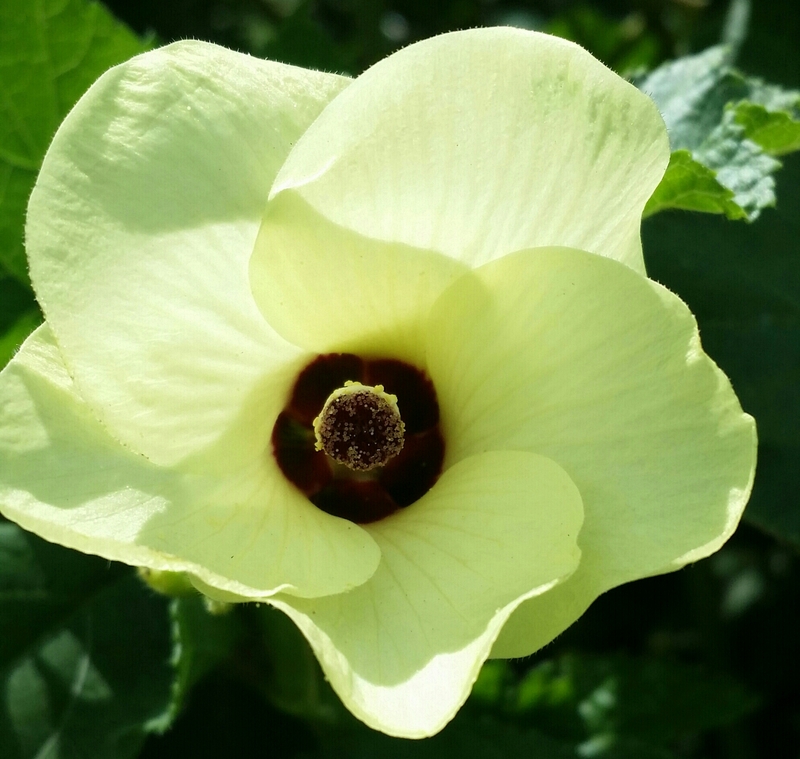 If you’ve ever looked closely at an okra flower and noticed that it looks a lot like a hibiscus flower, your not imaging things — they are in the same family of plants (Malvaceae — the mallow family). You will find cotton in this same family as well! The flowers are open only long enough for pollination to take place — less than a day — then they fall off. Oscar Okra has a pale yellow flower with a dark, almost maroon, center.